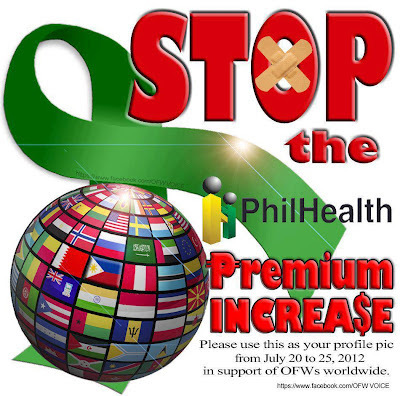 Stop the PhilHealth Premium Increase! - Gateway to Canada | Canada Immigration Consultancy! Stop the PhilHealth Premium Increase! Gateway to Canada supports the fight of Overseas Filipino Workers fight against increasing Philhealth premium. What the Philippine government should do is improve the finanacial investments of the agency and collection of contributions from members. And of course, stop corruption!